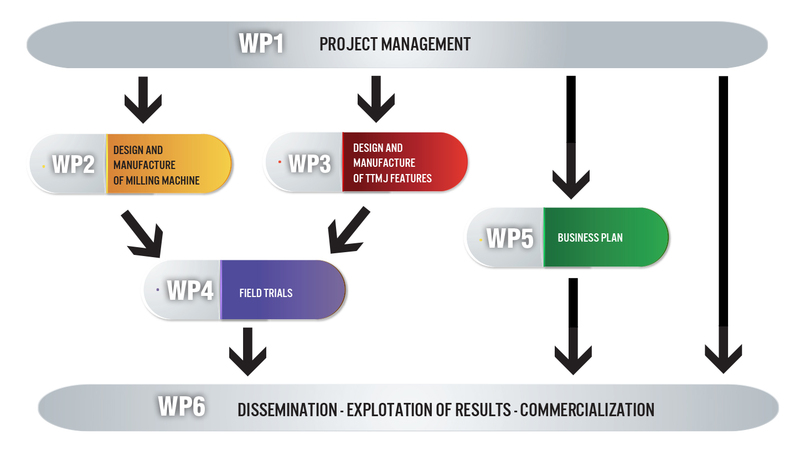 The project activities have been grouped into 6 Work Packages (WP), with tasks integrated into a program. 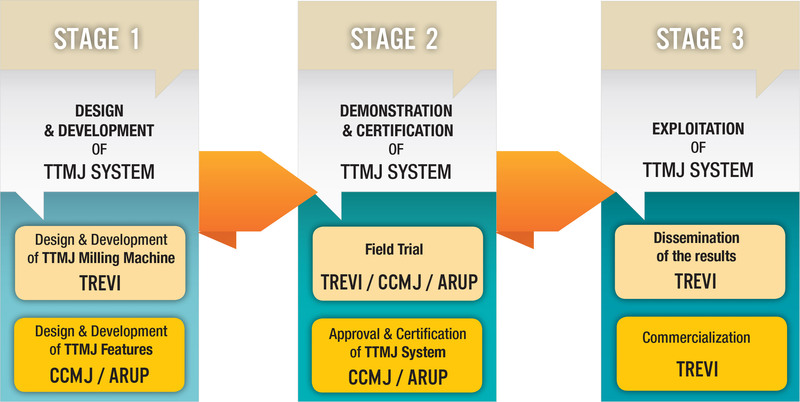 The objective of this work package is to ensure an efficient management of the project by checking the achievement of each step leading towards the TTMJ Trimmer validation to the market. In this work package, the tools for ensuring an efficient coordination within the group will be implemented. The objectives of this work package are to complete the design and manufacturing of the pre-production Joint Trimmer described in the CCMJ patent. The objectives of this work package are to complete the design and manufacturing of the TTMJ System features, including the guide tracks, the tension joint components and the water bars. The objective of this work package is to complete a detailed programme of field trials in order to test, verify and approve the TTMJ system under actual working conditions. The goal is to complete a detailed business plan that outline objectives, market strategies and financial forecasts. 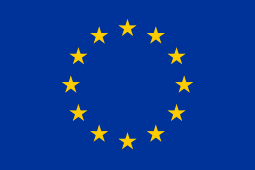 The objectives of this work package are to guarantee the dissemination of the project results in order to maximise its visibility, credibility and impact. TTMJ dissemination strategy will be mainly targeted on the market and industrial users. The main output of this WP are activities aimed at meeting the needs of diaphragm wall practitioners, designers and specifiers and end-users.